Welcome to the Lone Rock School House website. Our mission is to maintain and preserve the Lone Rock School House, its records and history, and to provide a meeting place for the community. 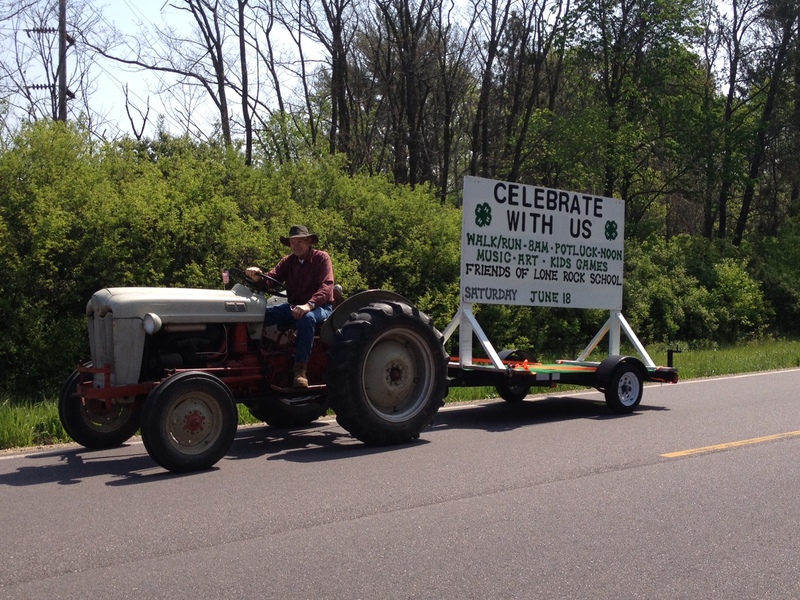 Thanks to Chester Chaffee for pulling our sign in the Armed Forces Days parade. Read about the latest project updates. Honor someone you know – Donate for a tile at LRS. Check out our friends at Stepping for Hunger sponsored by Mill Haven Foods – New Lisbon, WI.